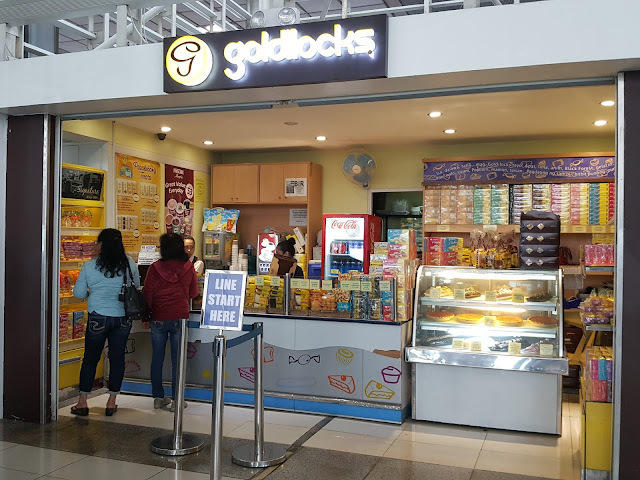 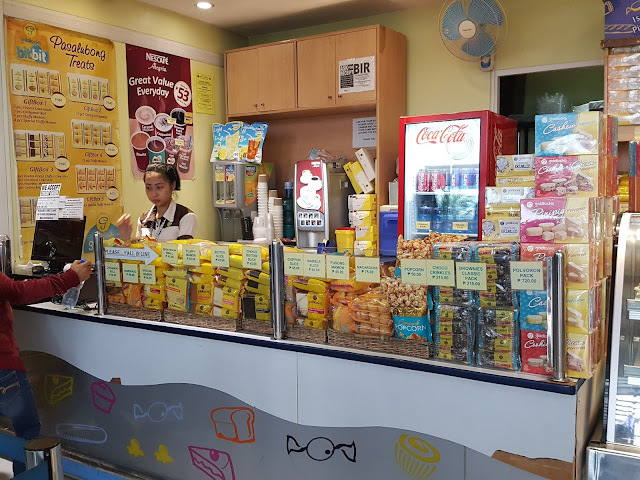 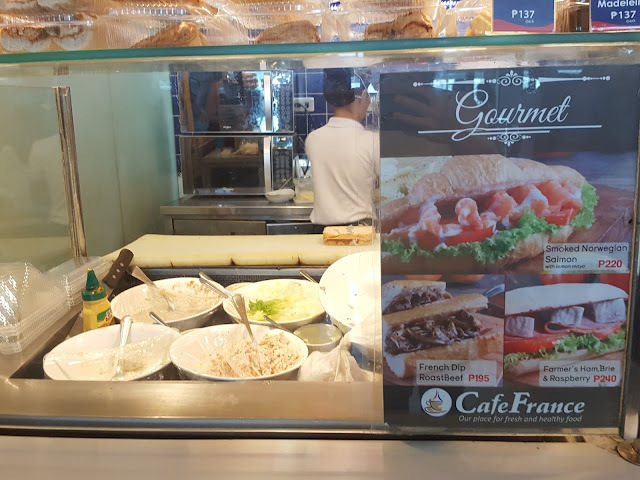 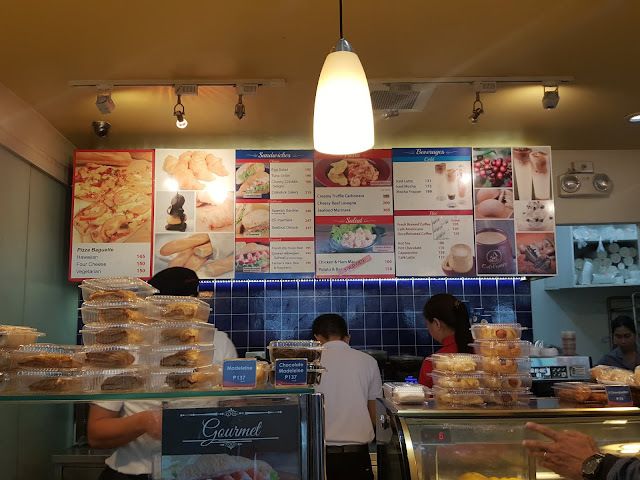 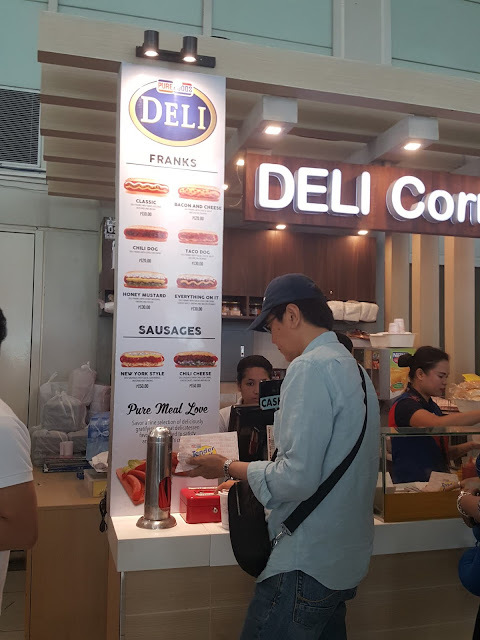 I needed to write this post because of the very limited dining options at the NAIA 2 so you can prepare yourself by bringing your own food or simply to not expect too much in terms of food choices. 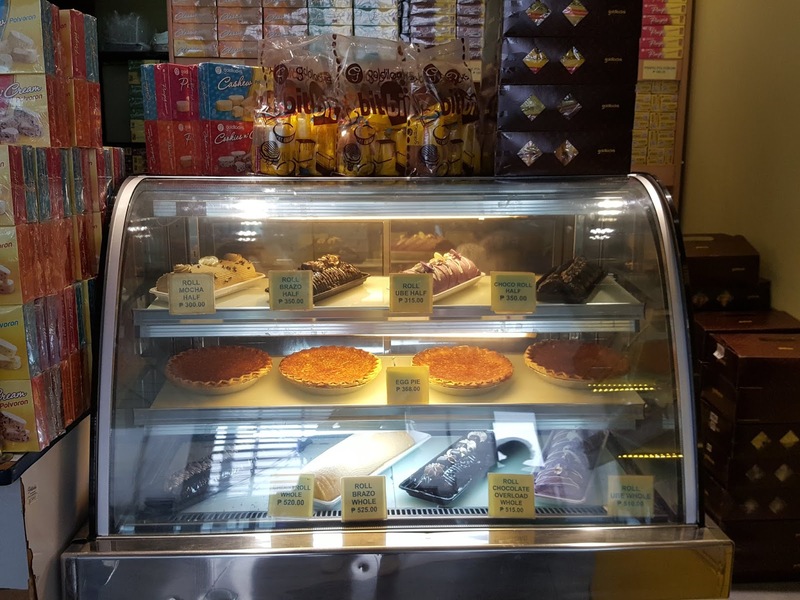 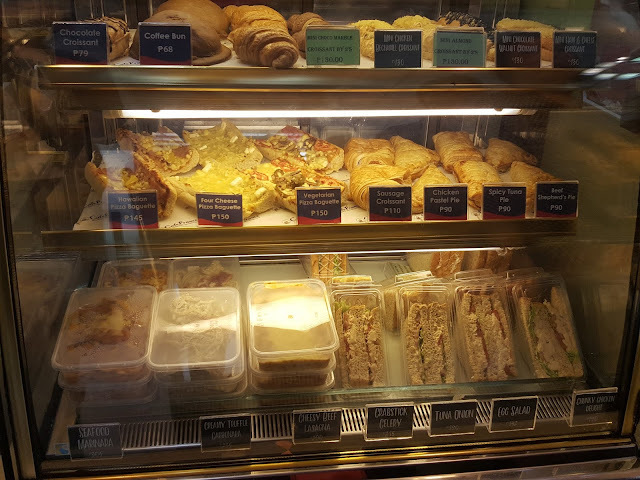 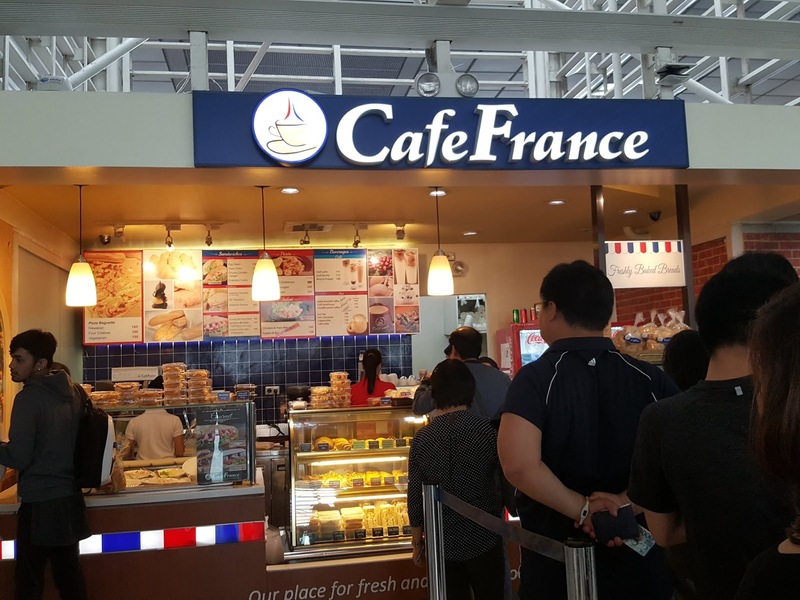 The best of the lot in terms of variety and taste is CAFE FRANCE. 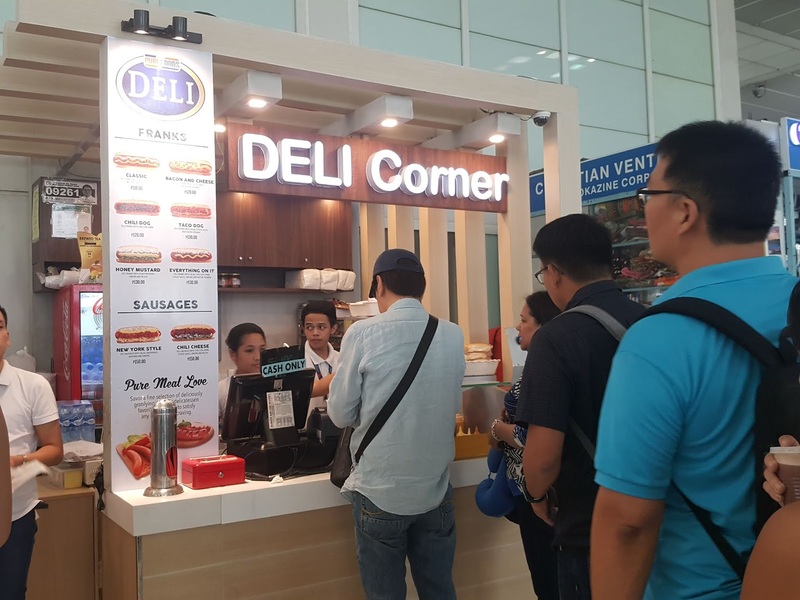 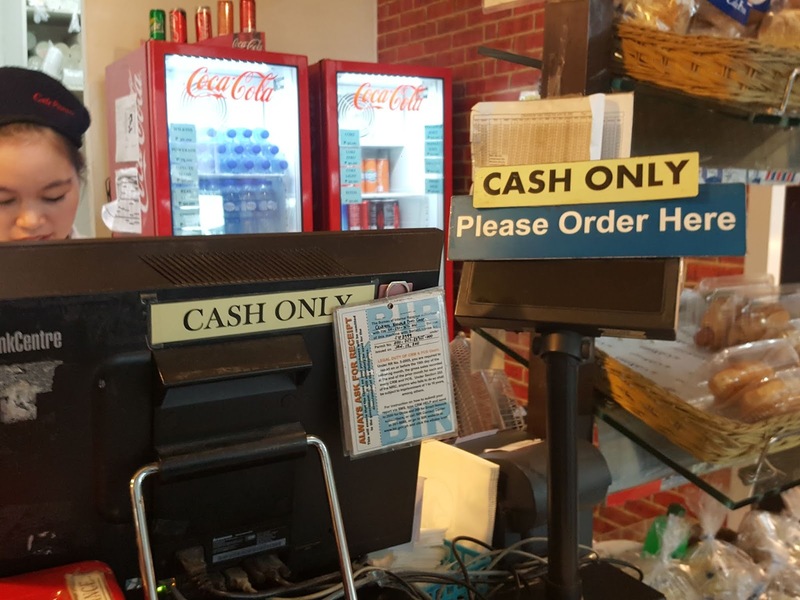 The menu you see is Deli corner. 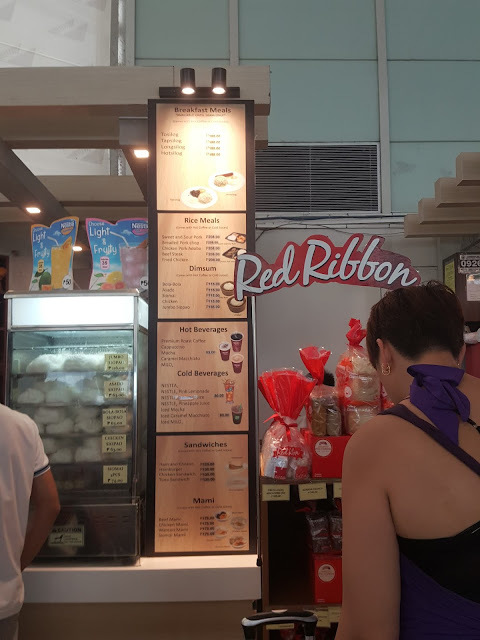 The small stand on the right is the Red Ribbon stall. 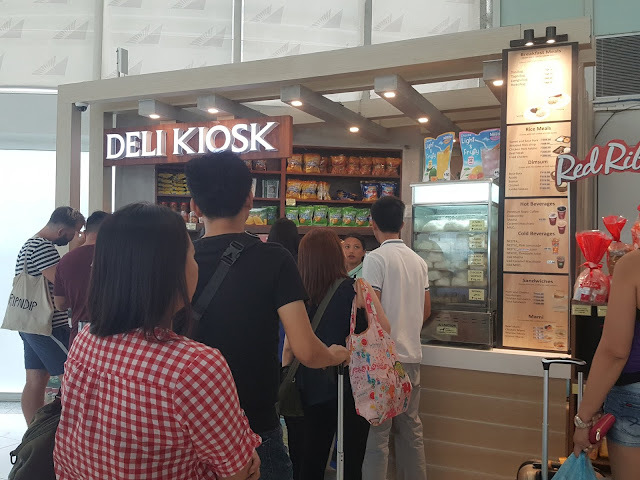 BY THE WAY, no matter what the airport website says, THERE IS NO JOLLIBEE INSIDE NAIA 2.